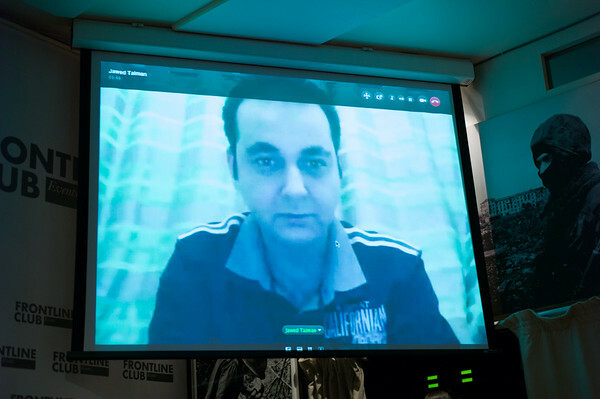 Jawed Taiman‘s award winning film, Addicted in Afghanistan, which screened at Frontline on 13 September, is beautiful and utterly bleak. The documentary follows the lives of two young boys, best friends Zahir and Jabar, through the streets of Kabul. The film moves between their sober, childish hilarity and the painful grips of their heroin addiction, which they repeatedly try to beat in a city devastated by war and poverty. The film’s mood is one of hopelessness. The boys, who guess their age to be between 16 and 17 at the beginning of the film, have been using since they were as young as eight-years-old. And despite their families’ encouragement to get treatment, they are surrounded by addicts: mother, father, uncle, younger sister. Such addiction has become endemic in Kabul and wider Afghanistan where over one million Afghans are estimated to be addicted to drugs, especially heroin. And up to 40% of these addicts are women and children. 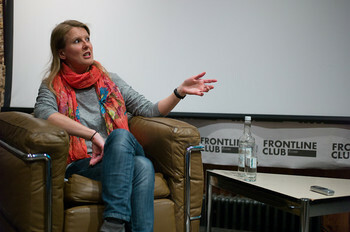 After the screening, producer Sharron Ward, was at the Frontline Club to answer question as was Taiman via Skype from Kabul. Ward explained that they were originally in Kabul to make a different story, another underreported problem of HIV, which is on the increase due to intravenous drug users. Taiman said that although poppies have been grown in Afghanistan for centuries, it was previously exported to Pakistan, Iran and Europe, but that heroin production has increased since the Taliban lost control of the country. Taiman‘s frustration at the state’s failure to try and help and protect its people is clear in his lament for Afghanistan, and will be heard in his upcoming film, Voice of a Nation: My Journey Through Afghanistan. But he is not without hope.